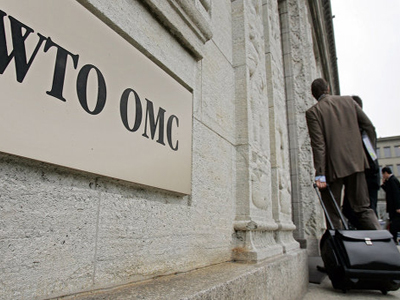 Russia's WTO accession is edging closer after the EU backed its bid in 2010. After a 17 year accession process economists say membership will be beneficial overall, but that some sectors will face tougher competition. To secure the EU’s backing, Russia lowered export tariffs on timber and rail freight fees. If negotiators settle limits for state support of agriculture and agree on meat and poultry quotas, 2011 is expected to see Russian accession to the global trade body. But meat and vegetable growers say Russia is too big and cold to compete with foreign agriculture on a level playing field. Vladimir Toporkov, Head of the Russian Holding company wants their industry protected and warns of the consequences if the rules are changed. Joining the world trade organisation, won't just be a test for agriculture, it will impact every sector of the economy. Productivity in Russia is several times lower than in many Western countries. It makes up for the lack of technical efficiency with large numbers of low paid workers. It's a legacy of the soviet era, just as the poor logistics and pockets of bad management. WTO membership will provide extra incentives for this to change, according to Evgeny Nadorshin, Chief Economist at Jones Lang LaSalle. There is one group of Russians that will almost certainly benefit, and that's consumers. They will get imported goods at lower prices as duties decrease. Membership will also open doors wider for multinationals, but this will test the ability of domestic firms to survive and prosper.